Description and effects: A herbal vocal remedy that helps damaged vocal cords recovery and removes respiratory system waste in cases of phlegm, inflammation, redness, redness, swelling, edemas, allergies, etc. This herbal vocal remedy helps opening your resonance cavities. As a result, your voice sounds much deeper and clearer. How to use: shake the bottle well, before use, about 10 times. Add between 10 and 20 drops of essence to 2 thirds of spoonful of water, in a cup, and gargle before swallowing. Repeat the treatment up to 6 times a day. Since this essence is very concentrated, you may add more water, or sweet additives, if it tastes too bitter. 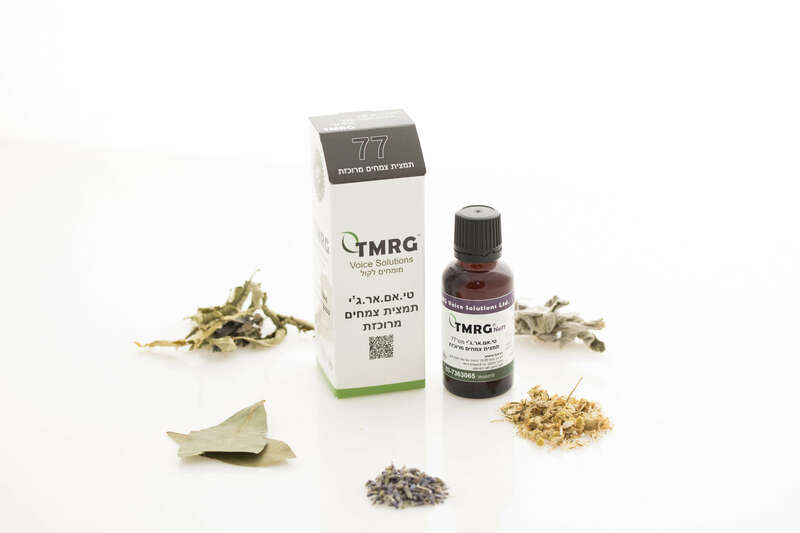 Recommendation: Singers are advised to use a generous amount of the TMRG Classic Spray (#2) OR TMRG Synergy Oils (#6) before every show together with the Concentrated Classic (#77). 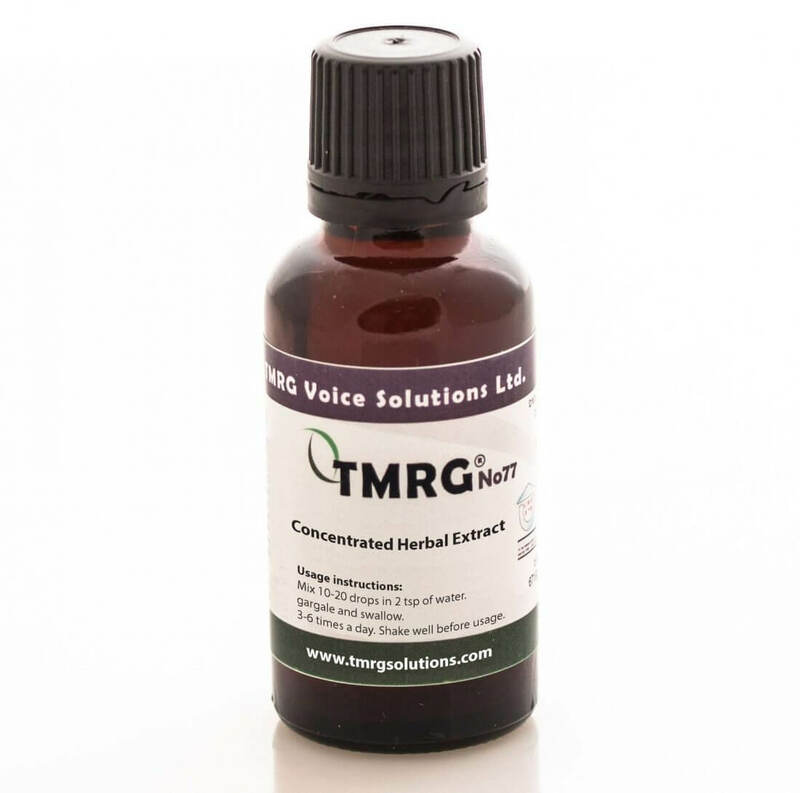 Products can be combined together to create a cocktail of effective remedies for more intermediate vocal conditions or seriously overworked voices.